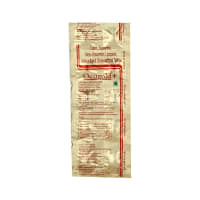 Omnisec 20 mg Tablet is used in the treatment of gastroesophageal reflux disease (acid reflux) and peptic ulcer disease. Take this medicine in the dose and duration as advised by your doctor. Swallow it as a whole. Do not chew, crush or break it. Omnisec 20 mg Tablet may be taken with or without food, but it is better to take it at a fixed time. Omnisec 20 mg Tablet is a proton pump inhibitor (PPI). 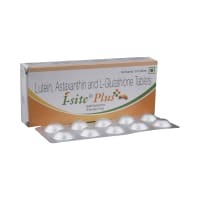 It works by reducing the amount of acid in the stomach which helps in relief of acid related indigestion and heartburn. It is unsafe to consume alcohol with Omnisec 20 mg Tablet. Omnisec 20 mg Tablet may be unsafe to use during pregnancy. Omnisec 20 mg Tablet is probably unsafe to use during lactation. Limited human data suggest that the drug could represent a significant risk to the baby. 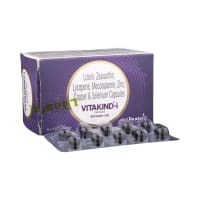 Omnisec 20 mg Tablet may make you feel dizzy, sleepy, tired, or decrease alertness. If this happens, do not drive. Omnisec 20 mg Tablet is safe to use in patients with kidney disease. No dose adjustment of Omnisec 20 mg Tablet is recommended. Omnisec 20 mg Tablet should be used with caution in patients with severe liver disease. Dose adjustment of Omnisec 20 mg Tablet may be needed. Please consult your doctor. What if you miss a dose of Omnisec Tablet? If you miss a dose of Omnisec 20 mg Tablet, take it as soon as possible. However, if it is almost time for your next dose, skip the missed dose and go back to your regular schedule. Do not double the dose. Do you have any questions related to Omnisec 20 mg Tablet? Q. How long does it take for Omnisec to work? Omnisec will start working in 2-3 hours after taking it. You should start feeling better in 2-3 days. Q. What is the best time to take Omnisec? It is best to take Omnisec before your breakfast. If you are taking two doses, take it in the morning and evening. Omnisec is more effective when it is taken 30 min before your food. Q. Can I stop taking Omnisec if I feel better? No, do not stop taking Omnisec before completing the full course of treatment. You will start to feel better before your treatment is complete. Q. Does Omnisec cause bone problems? Yes, long term use of Omnisec can cause thinning of bones, which is called osteoporosis. Omnisec decreases the calcium absorption leading to calcium deficiency, and increases the risk of bone fractures of hip, wrist or spine. Q. How is Omnisec useful in the treatment of H. pylori infection? 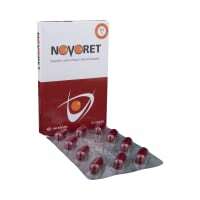 Omnisec is used along with antibiotics for the treatment of H.Pylori infection. It works by decreasing stomach acid volume and decreasing breakdown and washout of antibiotics leading to an increased antibiotic concentration and tissue penetration. 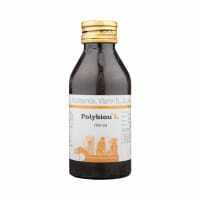 It also helps in the symptomatic relief by decreasing associated acidity, reflux, and heartburn. Q. Can I take Omnisec with vitamin D? Yes, vitamin D can be taken along with Omnisec. Vitamin D is generally advised to be taken as a supplement with Omnisec as its long-term use decreases the absorption of calcium and cause calcium deficiency. This can lead to osteoporosis (thinning of bones) and increase the risk of bone fractures like hip, wrist and spine fractures. Q. Can long term use of Omnisec cause magnesium deficiency? Long-term use of Omnisec can lower magnesium levels in patients taking multiple daily doses for a year or longer (at least 3 months). Get your magnesium levels checked at regular intervals. Tell your doctor if you experience seizures, dizziness, abnormal or fast heartbeat, jitteriness, jerking movements or shaking (tremors), muscle weakness, spasms of the hands and feet, cramps, muscle aches or spasm of the voice box. Q. Is it safe to use Omnisec for long term? Omnisec should be used as long as prescribed by your doctor. Omnisec is usually considered to be safe when taken in the recommended dose and duration. A licensed pharmacy from your nearest location will deliver Omnisec 20mg Tablet. Once the pharmacy accepts your order, the details of the pharmacy will be shared with you. Acceptance of your order is based on the validity of your prescription and the availability of this medicine.